Please scroll down to see the 1990s Purple Sequin and Ribbon Mini modeled and in greater detail. Circa: 1990s (admittedly, it could also be late 1980s). 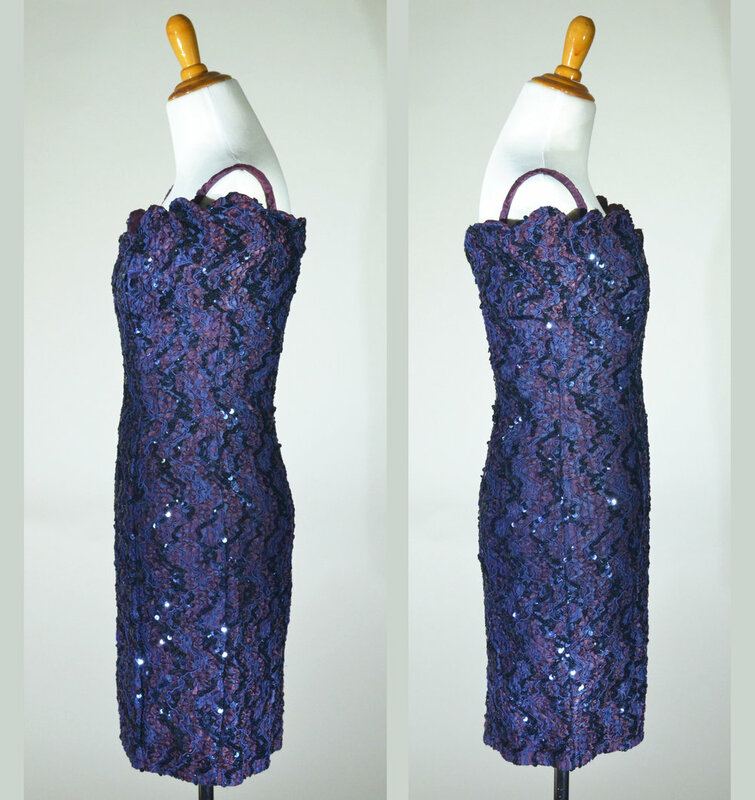 Colors: Mauve (ribbon), dark periwinkle (lace), and navy (sequin). Closures: Single, hidden center back zipper with a corresponding metal hook and fabric eye (see picture below for detail). Overall, the sequin is in excellent condition! There is one minor flaw on the front left side of the bust area where a bit of mauve ribbon has come undone, please see picture below for detail. This could easily be sewn down. The eye of the hook-and-eye closure is somewhat larger than need be, please see the image below for more detail. 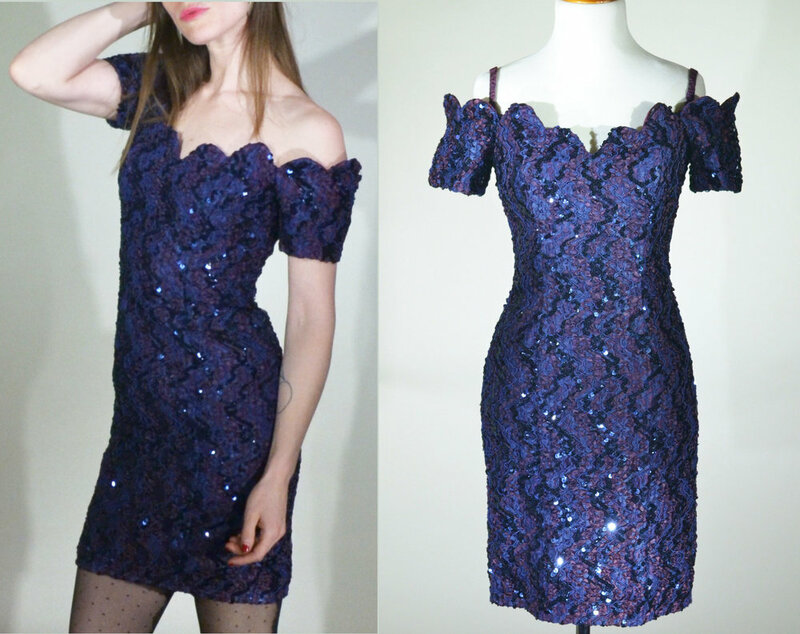 Considering how sequin catches and reflects light, please bear in mind that the dress is a wee bit darker than I was able to capture while making sure that the patterning came through in the photographs. Top: Modeled by Kate, notice the ribbon issue on the left side.